Honda just unwrapped its brand new 2017 CR-V. This best-selling compact crossover has been completely redesigned, gaining myriad enhancements for the upcoming model year. The 2017 Honda CR-V features a stylish new body, more storage space, a higher-quality interior and greater technology than ever before. Perhaps the biggest change, however, is found underneath its sculpted hood. Something else we’ve noticed is the reduced camo around the signature C-shape taillights which looks distinctly like the ones from its sedan sibling if the black tape beside it is any indication. 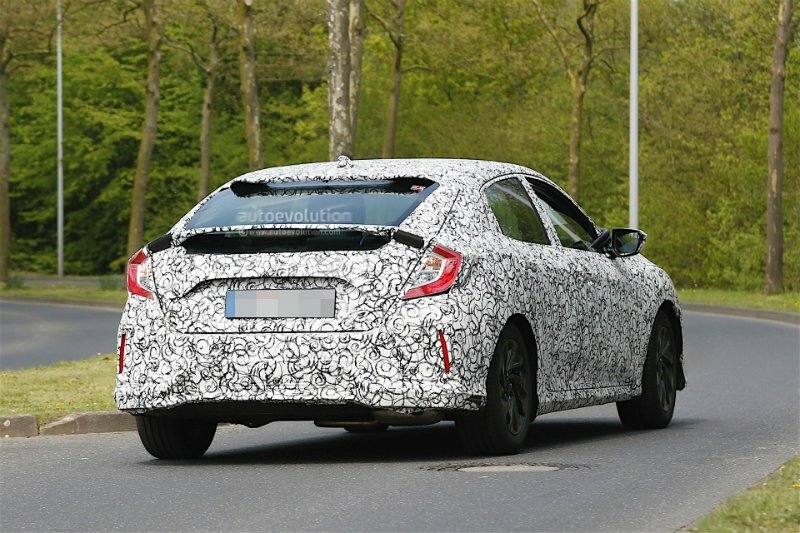 Both taillights may be connected by a spoiler or maybe a light bar similar to the Civic Coupe’s. Additional thin red slats can be found under the taillights. They could possibly be just reflectors or rear fog lamps. One more item to point out are the rear door windows. They’re not curved anymore compared to the 8th gen civic hatchback and the tip that’s is covered may or may not be glass. For all we know, that’s a large piece of door trim. Honda revealed important information about its all-new 2017 Accord Hybrid, including fuel-economy ratings and drivetrain-output figures. Most importantly, this fuel-sipping family car will be rated at 49 mpg in the city and 47 mpg on the highway for a 48-mpg combined rating. These impressive digits should make it the thriftiest midsize hybrid sedan in America. Honda is expanding its Clarity range, tripling the number of products offered under the nameplate. Beyond the standard-bearing fuel-cell model, the Japanese automaker is adding a plug-in hybrid variant as well as a pure electric offering. These vehicles will be essentially identical to the Clarity Fuel Cell, sharing the same exterior styling, interior trimmings and major components; the defining difference between each one is what powers them.